Click on the image for more detail. 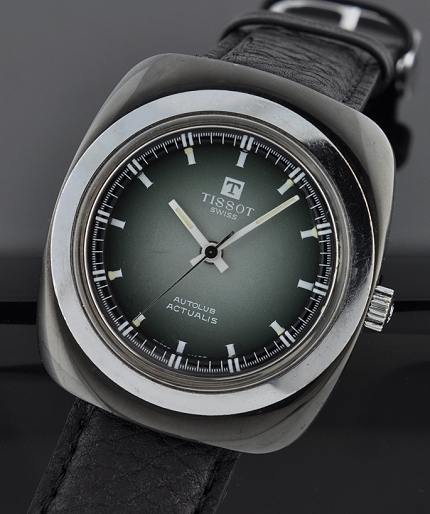 This is a TISSOT ACTUALIS measuring 38mm. in coated steel. Produced my OMEGA, this TISSOT was the precursor the SWATCH, where OMEGA wanted to create a mass produced watch whereby no screws were needed, and the plastic movement plates fastened together and many parts were plastic. 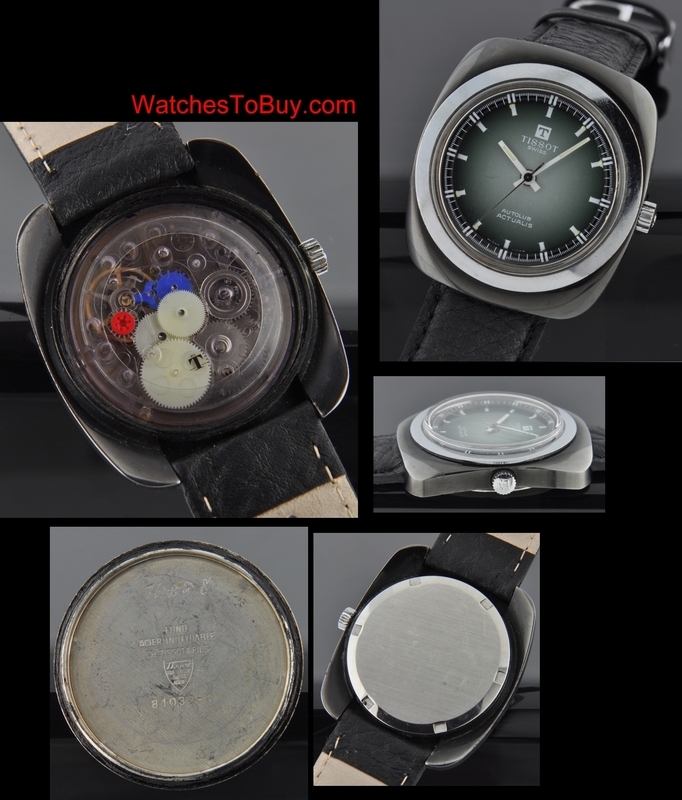 This is a very interesting and collectable watch. These watches are not really serviceable, but more to keep as an historic part the company made in strides to produce the SWATCH. It does work and keep accurate time. $495. click below for instant and secure credit card purchase. All prices in U.S. Dollars.